Packaging Dimensions 3.3 in. x 1.5 in. x 1.5 in. I bought these to place on a krank rev1 that I bought used on gc as it came without any feet whatsoever. They are a great fit and keep the amp from scratching up the top of my mesa cab. Great for amps or cabinets. Well made, easy install, good price! Outstanding product. Best feet for heavier amplifiers. 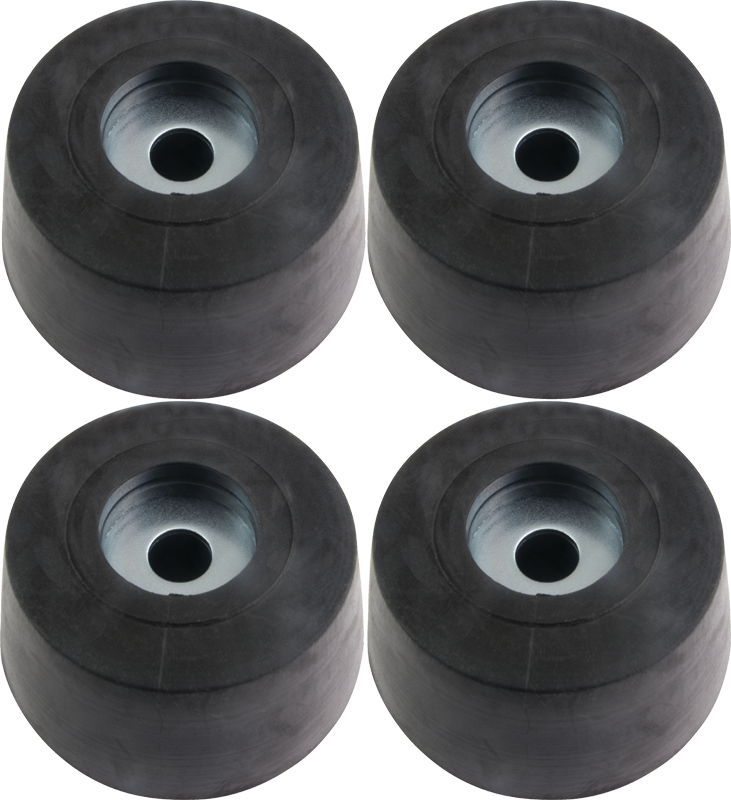 Soft Durometer rubber with steel insert. Will take 1/4"-20tpi machine bolt. Heavy Duty, good quality! Price is perfect! Just wish it would have come with screws. Other than that great product! These were perfect for my new speaker cabinet build. Real heavy duty. I like these feet because of their high stature. Plenty of room for handles, ventilation, etc. Great quality and price. This is the 3rd set of these i have ordered. Perfect for stacking an amp on an amp with a handle. I put them on my Hot Rod Deluxe, Hot Rod Deville, and my Twin Reverb.